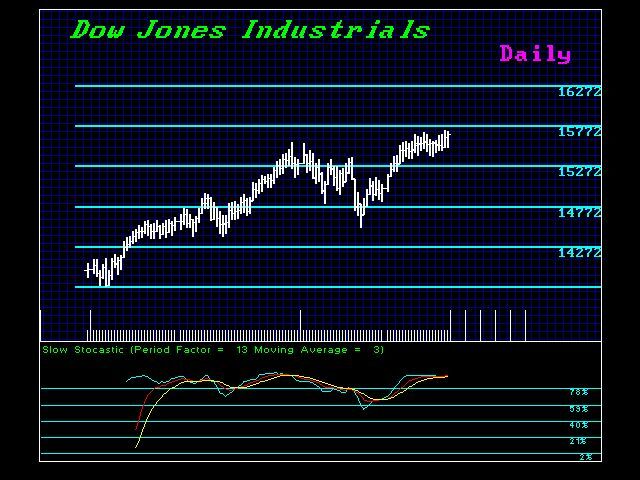 The Dow Jones has been crawling higher but it has been unable to get through the key resistance at 16000. The oscillators are now starting to get tired on a daily level. A daily closing back below 15390 will shift the market into a declining position. We need a weekly closing below 14805 to suggest a correction will unfold perhaps into September. Keep in mind that the Weekly oscillators are still positive. Therefore, a sustainable correction is not yet likely. We would need a monthly closing below 13920 to shift the trend for more than a couple of months. There still appears to be nowhere to go but up in a major way. We may see the Dow still double in value by late 2015. Pension funds will be insolvent unless they start to move to higher yields. They cannot continue this type of investment in fixed income with rates so low.